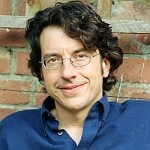 British environmental journalist George Monbiot talks about global warming and what can be done about it. His book is [amazon-product text=”HEAT: How to Stop the Planet from Burning” type=”text”]0896087875[/amazon-product]. Since when is it possible to send DC electrical power farther and better than AC? I thought that was settled way back when Edison argued, when the first large commercial hydroelectric power plant was proposed to be built at Niagra Falls, N.Y., that DC was the only way to go and tried to sue Tessla who said that AC would go vastly farther at a fraction of the power loss than DC would. I thought that, eventually, a demonstration proved Tessla to be right. Has some property of DC been discovered that nobody ever knew about before? Does Monbiot know something that no one else knows? Did I miss something? Please elucidate and enlighten me. Everything that Monbiot says and writes about is just silliness given the fact that the present population of the world is unsustainable for much longer with the known and postulated resources of this world. The logarithmic growth of the population alone dictates that his solutions and suggestions are doomed to always playing catch up and will never succeed in staving off the inevitable suffering and misery to be caused by unending growth in a world of finite resources. 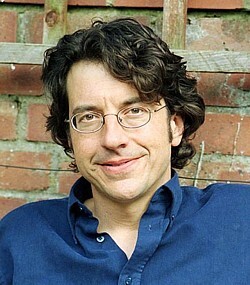 I challenge you to find any author, including Monbiot, that can prove me wrong. I am here to learn. Well, I have learned something. AC electricity does NOT travel as well as DC except for the fact that it was far easier to change the voltage, thereby allowing it to be distributed fairly well under very high voltage yet be easily reduced to lower voltage to bring it into buildings or areas where it could then better be used. But it was far less efficient than DC due to losses incurred from inductance and other means, even interfering with the ground necessitating keeping the wires well off the ground. DC has few of such problems and would be more efficient to transmit long distances if only its voltage could be changed more readily. Such is now possible due to being able to change it to AC and back again to DC via electronics not earlier available. DC is becoming, therefore, the electricity of choice for more efficient transmission and distribution. There is apparently a high voltage DC transmission line to distribute DC along the west coast and another which brings much of the electricity we get from Canada down from the lower Hudson Bay area to eastern areas of the U.S.
As I say, I’m here to be enlightened and to learn. Regarding the quandaries aroused by the perplexities of unending growth with limited resources, I remain to be proved wrong.